"This is an interesting little game that could very well be great if improved upon. I will personally be checking for updates to this game." "I say it should be worked on a LOT more before showing it to the world." "Nothing to get excited about, but nothing to turn you away in disgust. 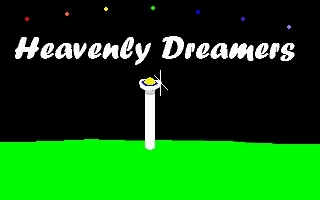 Give it a chance, and you may be interested in what's in store for us when the next version of Heavenly dreamers is released." "A nobel effort, but ultimatly unsatisfying."